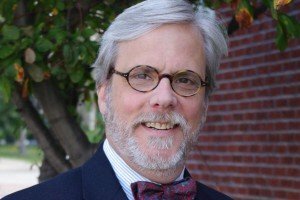 History Professor Jeff Smith’s upcoming April 19 talk on the rural cemetery movement was included in an article on USAgNet.com. The talk is part of the St. Charles History Talks lecture series, which is put on by the Friends of the First Missouri State Capitol. 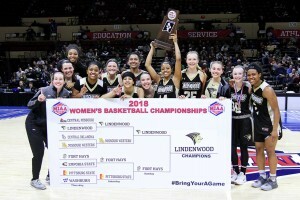 Lindenwood’s women’s basketball team was featured in the St. Louis Post-Dispatch for its recent MIAA Championship in anticipation of its participation in the NCAA Division II tournament. 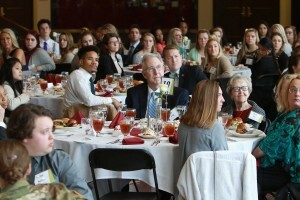 Lindenwood University endowed scholarship donors and recipients gathered in the lobby of the J. Scheidegger Center for the Arts on March 7 to celebrate scholarship and philanthropy. 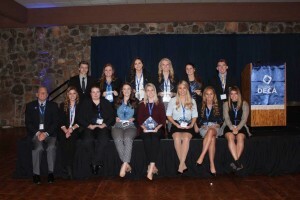 Collegiate DECA team members from the Plaster School of Business & Entrepreneurship at Lindenwood University participated in the annual state conference for the Missouri Collegiate Association of DECA on February 22 and 23 at the Lodge of Four Seasons, Lake Ozark. Over 140 college members – a total of 12 colleges and universities – were in attendance to compete in 25 competitive events involving individual case studies, team case studies and prepared presentations. 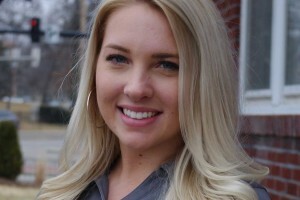 Lindenwood University Student and Presidential Ambassador Haley Choate was featured in a national online magazine produced for and by students called Study Breaks. In the article, she discusses her work with athletic apparel company Lululemon, why she chose Lindenwood, and her hopes for after graduation. On. 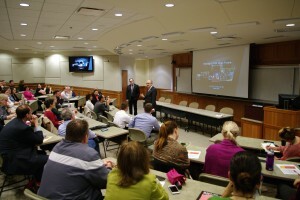 Feb. 20, 21, and 22, Lindenwood University System President Michael Shonrock and Vice President T.J. Rains held a series of dialogue sessions on the university’s new strategic plan to both explain the process and finished result and to seek feedback. 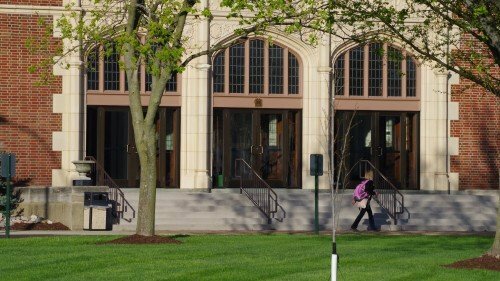 Terry Whittum, vice president for enrollment management, was interviewed for a recent St. Louis Business Journal story about Lindenwood’s increase in freshman applications over last year at this time. 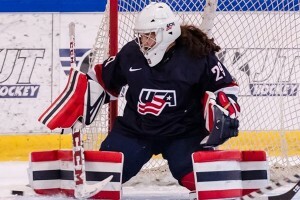 The United States women’s Olympic hockey team and goalie Nicole Hensley, who graduated from Lindenwood in 2016, won a thrilling gold medal hockey game early in the morning (CST) on Feb. 22 against Canada in Pyeongchang, South Korea. Lindenwood University President Michael Shonrock and Vice President T.J. 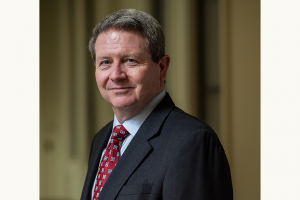 Rains, along with other senior university leaders, have scheduled dialogues about the new Lindenwood University strategic plan, including the university’s new mission/vision, values, and initiatives. MBA student Carlos Quiroz was featured in an article on the website for the sports radio station AM 590 The Fan for his work as a competitive athlete in billiards and weightlifting and as an active participant in the university’s Martial Arts Club.